The temporary reading room will be open for the summer months and features books and texts that explore the role of design in the shaping of society. 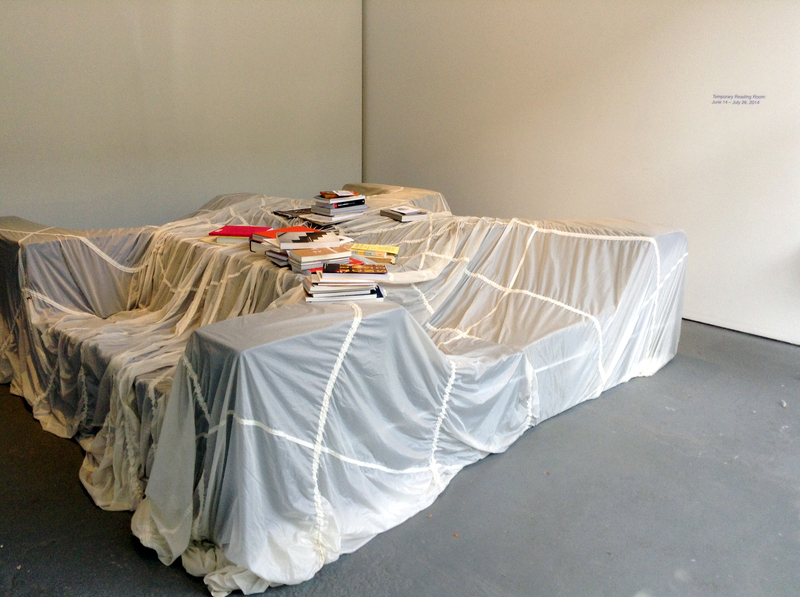 The reading room includes a replica version of c.1970 Prototype for Couch by John Chamberlain, first shown in 2009 at the Charles H. Scott Gallery (Vancouver) for Vintage Dan Graham: Projects for Publication 1966-2009, curated by David Platzker. 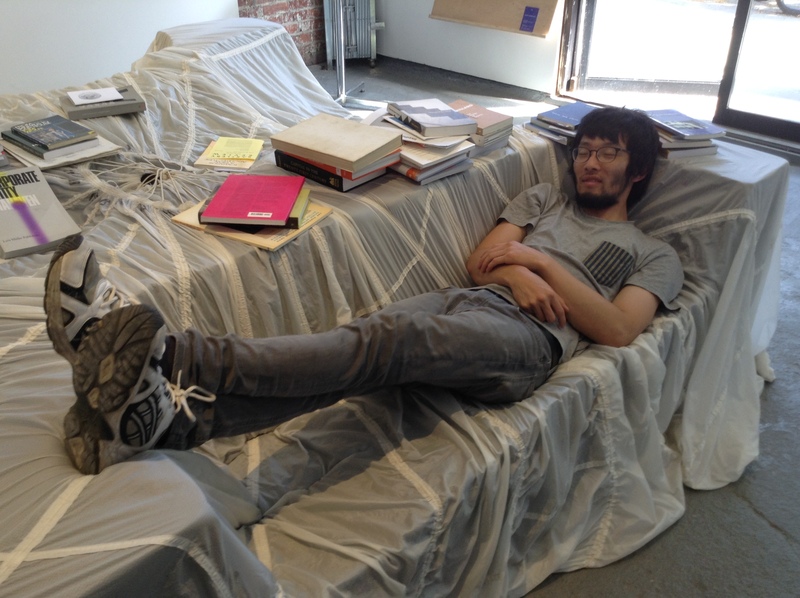 Reproduced by furniture manufacturer Bombast (Vancouver), we invite you to sit, lay and read on the hand-carved, high-density foam, parachute-covered 8′ x 8′ x 4′ couch. Some of the books and texts available for reading will include: James Tully’s Communication Imperialism; Metahaven’s Uncorporate Identity; Anna Munster’s An Aesthesia of Networks; Boris Groys’ writings on self-design; Franco “Bifo” Berardi’s writing on semio-capitalism; Wu Hung’s Tiananmen Square: A Political History of Monuments; texts on public space, art and democracy by authors Miwon Kwon, Rosalyn Deutsche and Hal Foster; and publications by educational institutions, artist-run centres and arts organizations. The temporary reading room will open at 10am on Saturday, June 14th with a free breakfast and the launch of Summer Breakfasts, a catalogue of posters by a cohort of artworkers who ran a free weekly breakfast throughout the summer of 2012 at 221A. The reading room will be open in conjunction with the current exhibition And He Built A Crooked House until July 26, 2014.